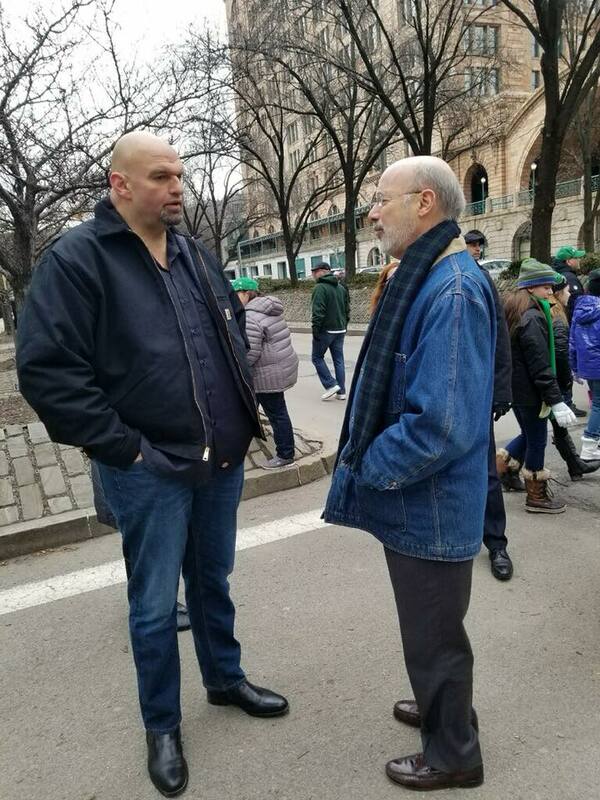 John Fetterman and Gov. Tom Wolf at an event earlier this year. The mayor of a Pittsburgh-area former steel town will be the Democratic candidate for lieutenant governor. Braddock Mayor John Fetterman surpassed incumbent Lt. Gov. Mike Stack in Tuesday’s vote. Stack was embroiled in a scandal last year when Democratic Gov. 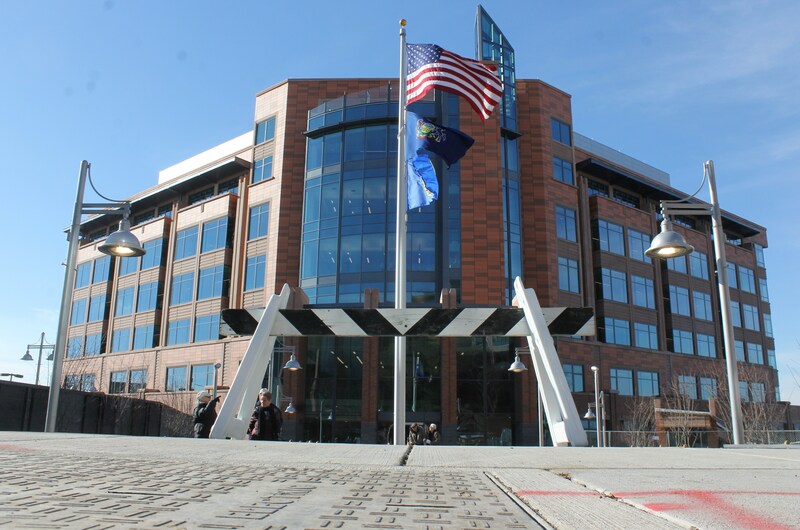 Tom Wolf stripped him and his wife of state staff and a security detail after allegations that they mistreated them. Leading up to the election, Wolf distanced himself from his former running made. 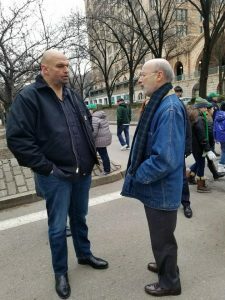 Fetterman lost his 2016 bid for Senate but remained popular among Democrats. 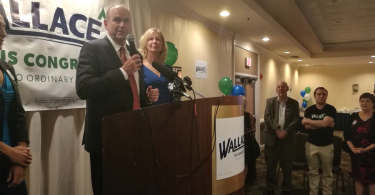 Stack is the first incumbent lieutenant governor to lose in the primary election. On the Republican side, Republican Jeff Bartos won his party’s nomination.